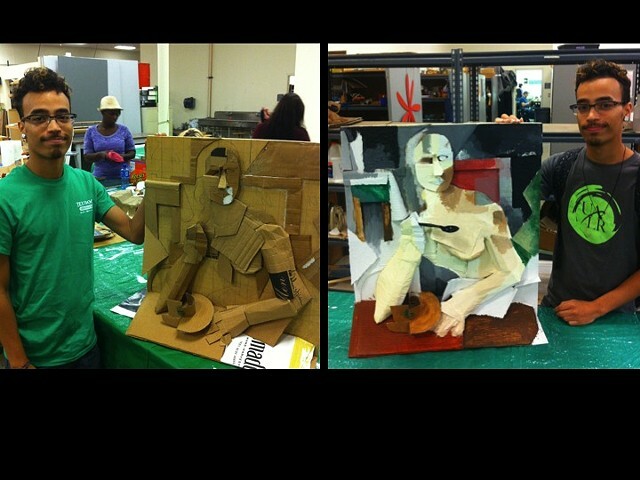 Students research cubist paintings, or contemporary work that deals with specific planes or geometric patterns. They are required to sketch their ideas to scale, and create a mock-up of their design with paper. The final assemblage can be anythingfabric, cardboard, foam, etc. We spend several class periods experimenting with materials and adhesives.